How to install VirtualBox 3.0 on OpenSolaris | Did you Know? Why have all this pain. 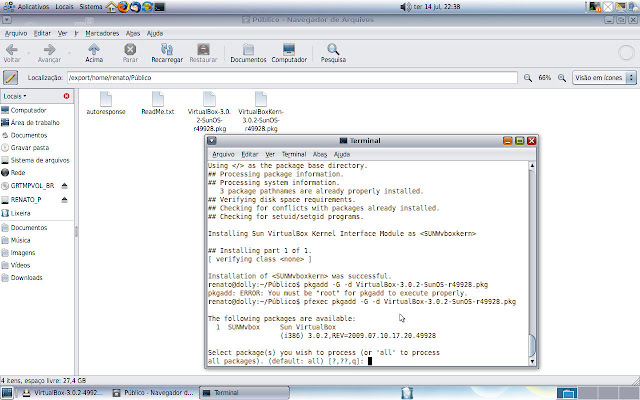 All you need is to add the OpenSolaris Extra publisher and you have virtualbox packages ready to be installed from pkg(5) it is as simple as that. so, you have no internet connection and have the vbox’s pkg’s follow these steps..